Wind Farm Service - GlobeCore. Wind Turbine Oil Purification Systems. A wind farm is a group of windmills, located in one area to produce a large amount of electricity. Since wind farms may consist of dozens or even hundreds of mills, their maintenance is a complicated and expensive business. That is why wind farm service requires optimal reliable techniques, which will make all the operations easier and more efficient. The first wind farm was created in the USA and installed on the Crotched Mountain in southern New Hampshire in December 1980. 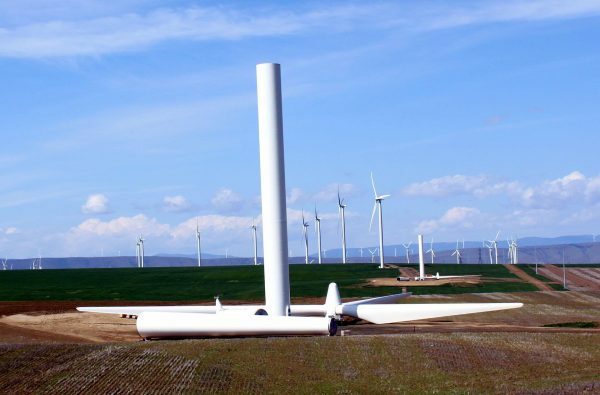 It had 0.6 MW power and consisted of 20 wind turbines rated at 30 kilowatts each. Nowadays there are wind farms all over the world, reaching incredible scale and power in the order of thousands of megawatts. The largest wind farm in the world is currently situated in Gansu ( China) with the capacity of over 6,000 MW. 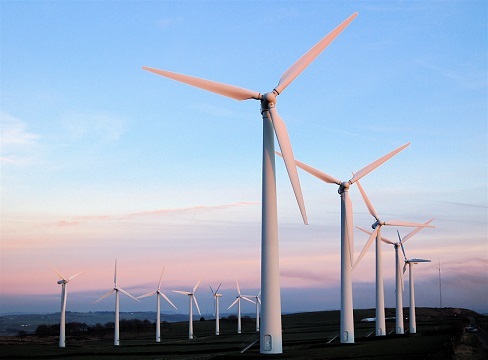 China is currently the leader in onshore wind farm industry. The United States follows closely, with the biggest wind farm producing 1320 MW. Today, it is the most powerful natural energy production. As a general point, wind turbines require wind speeds of 4.5 m/s (16 km/h) or greater. One of the most important factors for a wind farm is its location. An ideal location will have a constant flow of non-turbulent wind throughout the year, with the minimum probability of sudden powerful gusts. Another important factor in placing the turbines is access to local demand or throughput. It is reasonable to place wind farms on hills, because the wind blows faster at higher altitudes, reducing the influence of resistance. The increase in speed with height is the most dramatic near the surface and depends on topography, ground surface relief and obstacles, such as trees or buildings. One of the main factors is also how close are the turbines to each other. The closer turbines, the more they block the wind from their neighbors. However, the distance between the turbines far from each other increases the cost of roads and cables and increases the amount of land needed to install a certain turbine power. As a result of these factors, the distance between the turbines depends on the location. Generally, manufacturers require a 3.5 times smaller diameter rotor turbine between the turbines. Depending on the model of the turbine, the site conditions must be chacked not less then every 6 monthes. Special attention is needed for gearbox oil. As we can see, wind turbine service can be extremely expensive. One of the most important part of wind tDue to this fact, service companies need equipment, that will make gearbox oil maintenance much more easier. GlobeCore company has unique technologies for wind farm service. It produces plants for gearbox oil purification, oil changing and other operations. For now there are several types of different wind service machines. The main are CMM-G and СMM-GL. Both plants have practically similar functions with the only difference that the second is designed for smaller turbines. The CMM-G is designed for a three-stage oil change process in the gearboxes of wind turbines (draining old oil, gearbox flushing and filling in the new oil). The device allows to quickly and effectively maintain the system of wind turbines. The device can be used to service wind turbines of different manufacturers. CMM-G can also heat clean oil. The CMM-G plant is easy and practical in using. It is multifunctional, compact and needs minimum efforts for its maintenance. The efficiency, mobility and economical profitability makes this machine ideal option for wind turbine service.